EUROPE4ALL ! - Meetings, training and exchanges of practices on the programme "Europe for citizens" partnership with different ENSIE members (2014). Work but not only ! (2011 - 2012). Elexies - The social enterprise - a tool to fight against exclusion (2009). IRSIE - Industrial Relations within the Social Integration Economy (2003 - 2004). EPP- Strengthening emergent professional profiles in the third sector – "A way to foster innovative bridges to work and social inclusion of disadvantaged groups": ENSIE will be specifically in charge of developing guidelines and recommendations to enhance WISES' human resources and effectiveness in social inclusion (2014 - 2016). EFESEIIS - Enabling the Flourishing and Evolution of Social Entrepreneurship for Innovative and Inclusive Societies - ENSIE is an expert along with other two international organizations (European Venture Philanthropy Association and the United Nations Industrial Development Organization) and several national organisations (2015 - 2016). 3e4se - European Ethical Financial Ecosystem for local partnerships supporting new social enterprises - ENSIE is involved as European level partner in the project, along with local partners in two European regions (2014 - 2015). Our Social Europe- ENSIE's expertise in a "Europe for Citizen" project on how to systematically increase civic engagement of citizens in urban disadvantaged areas; ENSIE's expertise is focusing on advocating in the EU Agenda for “Community Led Local Development” (2015 - 2016). G+ Enfance - ENSIE's expertise in this national project managed by RES, Belgium (2014 - 2015). OLD CHALLENGES NEW PATHWAYS - ENSIE as an observer on the current challenges faced by the work integration social enterprises and their involvement in social innovation (2014). RESPEC - ENSIE's expertise in a project of exchanges of experience and good practices related to social economy and in particular to work integration social enterprises (2014). 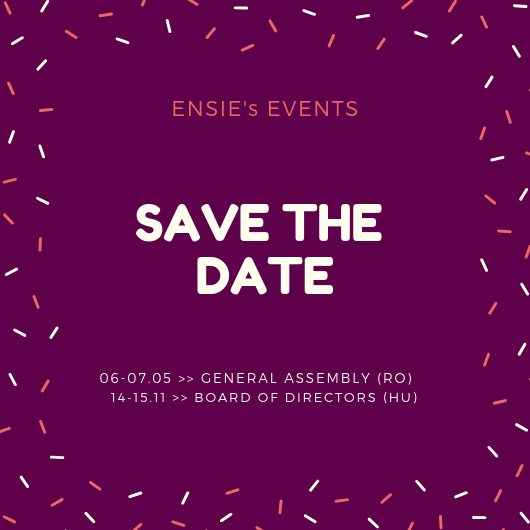 RE:DIALOGUES - ENSIE's expertise in a project on social dialogue and social economy enterprises lead by Groupe Terre, Belgium, in partnership with different ENSIE members (2012 - 2014). Work in stations (2012 - 2013). IRIS in Timisoara (2010 - 2013). SYSCOM - Systematic Competency Documentation in Social Integration Enterprises (2009 - 2010). Social Economy in Romania - Social Economy, an Innovative Model for Promoting Active Inclusion of Vulnerable Groups (2008 - 2011). GRUNDTVIG - Breakable workers (2009 - 2011). The autonomy paths - Mutual Learning Seminar on accompaniment for social and work integration of disadvantaged people, in particular people with mental, physical and psychosocial disabilities in CEI (Central European Initiative) countries. Work integration in the Mediterranean area - a study on the state of play of work integration in different countries of the Mediterranean area (2017). PRESS - Erasmus + project focusing on the integration of woman in situation or at risk of social exclusion, particularly woman of the Roma minority (2016-2018).